Looking for a new place to call home in Balsam, North Carolina? Our Balsam Property Search features the latest and most up-to-date listing information on Balsam homes for sale. Here you will find only ACTIVE listings, so no homes that are currently under contract will be displayed. If you’d like to do a more detailed search for homes in the Balsam, NC area, check out our Property Search page. Dine next to your very own natural waterfall and feel like you are sleeping in the treetops! Located at 5500' elevation, this is what you call touching the mountains! This one of a kind property sits just above the Blue Ridge Parkway and just below the Mt. Lyn Lowery Cross. You will find a screened sleeping porch with a hammock for cool afternoon naps. The main deck features built in seating and stairs that lead down to the base of a cascading waterfall. Each bedroom boasts private decks. The data relating to real estate on this Web site derive in part from the North Carolina Mountain Multiple Listing Services, Inc. IDX program. Brokers make an effort to deliver accurate information, but buyers should independently verify any information on which they will rely in a transaction. All properties are subject to prior sale, change or withdrawal. 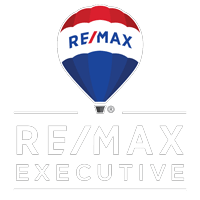 Neither RE/MAX Executive Mountains nor any listing broker shall be responsible for any typographical errors, misinformation, or misprints, and they shall be held totally harmless from any damages arising from reliance upon this data. This data is provided exclusively for consumer -- personal, non-commercial use and may not be used for any purpose other than to identify prospective properties they may be interested in purchasing. © 2019 North Carolina Mountain Multiple Listing Services, Inc.
Data updated April 24, 2019.